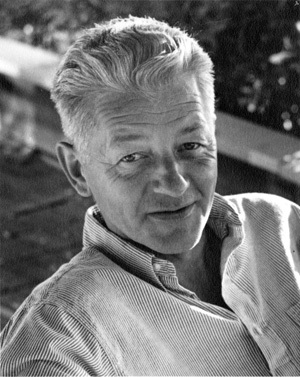 Wallace Stegner—historian, novelist, essayist, conservationist, and educator—is widely known as the “Dean of Western Writers.” His literary legacy carries on in his major novels and nonfiction works which are as relevant today as when they were written, and in the lives and writings of Stanford University Stegner Fellows, who have built a fine literary tradition of their own. To celebrate the centennial of Stegner’s birth on February 18, 1909, the Wallace Stegner Center’s 14th Annual Symposium, “Wallace Stegner: His Life and Legacy” will bring together a select group of former Stegner fellows, writers, and poets; conservationists; historians; public officials; and others who will explore Stegner’s life and his ongoing influence on the next generations of writers, historians, and conservationists. Carl Brandt, Brandt & Hochman Literary Agents, Inc.
For additional information on this symposium, please see the attached brochure. You can register online at www.law.utah.edu/registration. For questions or additional information, please call 801-585-3440. Principal funding is provided by the R. Harold Burton Foundation, Chevron, and The Cultural Vision Fund.